Teams are an important element of many organizational initiatives. This post looks at a three phase approach to setting up effective teams. It outlines a number of key aspects that underpin success in each phase, and provides some key tips for effective teamwork. The use of learning and team approaches within organizations is well accepted as an integral component of many such initiatives. There are a variety of factors that drive this acceptance. Predominantly they stem from the reality that many activities are just too large for individuals to handle alone. Another is that teams are more effective at addressing complex issues, and learn more rapidly than individuals. Moreover there is ample evidence that harnessing the potential power of a team can have a dramatic effect on an organizations’ ability to simultaneously meet targets, innovate, and improve employee job satisfaction and engagement. When a team is functioning efficiently (be it a work team, sports team, or community group) the group dynamics and sense of belonging and acceptance can bring out the best in people. Groups can work together to enhance understanding, creativity and problem solving. Most of us have enjoyed being part of an effective group or team. However, while teams may be a necessary part of successful organizational change their presence certainly doesn’t guarantee success. As most of us can also testify, teams can equally provide inefficient and/or frustrating environments in which to operate. In order for team initiatives to be successful, there must be a unified effort by company leadership, adequate direction and support for the team initiative itself, and ongoing measurement and adjustment of progress towards the desired change. A team based approach to supporting a sustainability initiative can be usefully thought of as comprising 3-phases. The starting phase is about establishment, then there is a focus on team operation, and the final phase emphasizes evaluation and adjustment. The three phases are not necessarily linear. Each phase is a work in progress, with overlap into each of the other phases. Identifying people and selecting those that are willing to participate, rather than calling for willing volunteers. Looking to select both representatives of the key areas of operation in the organisation, and those with good networking skills to feed information from the group to the rest of the organisation and vice versa. Limiting the size of the team (5-12) unless it is highly structured and has clearly identified individual functions. Developing roles, particularly for facilitation, chairing, administration and resource provision; and determining a method of rotating these if necessary. Undertaking basic research, including a literature review, to become informed. Developing procedures for diagnosing, analysing, and resolving team work problems and conflicts. In addition it is useful for teams to understand the kind of process in which they are involved and be able to look for ways to move through the stages of group development. Monitoring and evaluation are vital if organisations are to judge whether change efforts have succeeded or failed. Conventionally, it involves measuring performance against pre-set indicators – often with the help of outside experts. Often too, this is done at the end of the project cycle. However, monitoring and evaluating in this way does not help improve ongoing projects, nor can participants learn from ‘surprises’. How well the team are able to adapt the approach and goals to their particular context. Whether others in the company participate and have a role in shaping the process and design of the project. Whether there has been a positive move towards desired outcomes. The participatory nature of these reflections encourages the use of monitoring and evaluation as a social learning tool and allows the perspectives of different team members to be articulated. It also provides information to feed into project design, enabling the team to rethink and adapt goals and methods during the project according to emerging issues. A few key elements are worth highlighting because they contribute so strongly towards the environment that the team building approach is designed to support. Create clear goals – members need to understand the goals, believe they are important, expect to accomplish these and be able to identify when they have done so. Encourage teams to go for small wins – building effective teams takes time, and teams should aim for small victories before the big ones. Short term goals build cohesiveness and confidence. Build mutual trust and a sense of belonging – it is important that team members are kept informed and a culture of openness is created where people supported to discuss ideas and problems. Provide the necessary external support – if success is dependent on resources then the organization needs to make sure they are available. 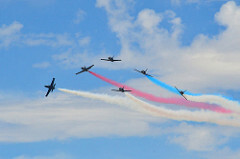 This post supports the related Team building, CoPs and learning groups page. Other Learning for Sustainability site pages providing links to related resources include Managing participation and engagement, Building networks and Reflective practice. The multiple linked facets of participatory action research. Over recent years we have begun to see the increased use of collaborative and multi-stakeholder processes in a range of sustainability, natural resource and environmental management areas and sectors. Participatory Action Research is emerging as a useful approach to improving the way we learn about and improve the way we manage these processes. This blog provides a brief introduction to action research and how it is can be used, and points to a range of resources that provide more specific information around its use in practice. The process that the researcher uses to guide those involved can be seen as iterative learning cycles consisting of phases of planning, acting, observing and reflecting. Fundamental, then, to action research is the concept of “learning by doing”. It recognizes that people learn through the active adaptation of their existing knowledge in response to their experiences with other people and their environment – social learning. The underlying assumption of this approach is that effective social change depends on the commitment and understanding of those involved in the change process. In other words, if people work together on a common problem clarifying and negotiating ideas and concerns, they will be more likely to change their minds if their joint inquiry indicates such change is necessary. Also, it is suggested that this collaboration can provide people with the time and support necessary to make fundamental changes in their practice which endure beyond the research process. Against this background, the role of the action researcher is similar to many contemporary practitioners aiming to work in a facilitatory manner to help people in communities and organizations to identify and adopt more sustainable natural resource management practices. These practitioners may come from key stakeholder groups, or they may be research or agency staff. However, their most effective role will be to work with a group, often with multiple interests and perspectives, to develop participatory attitudes, excitement and the desire to work together on jointly negotiated courses of action to bring about improvements and innovation for individual and community benefit. While this role is similar to much of consultancy, action research provides a means by which is more rigorous, and which allows for the development of public knowledge to advance the field. An action research approach looks to build on good reflective practice. Through their observations and communications in the collaborative process at hand reflective practitioners are continually making informal assessments and judgments about the best way to engage. The difference between this and carrying out these activities as part of an action research inquiry is that during the action research process these practitioners will need to develop and use a range of skills to achieve better evaluation and critical reflection. These skills include things such as more detailed planning, more conscious observation, active listening, improved attention to evaluation and critical reflection. A good understanding of social and behavior change theory is also important. More resources can be found from the main LfS participatory action research page. More links to related material can also be found from the LfS Theory of Change page, and the Social Learning and the Planning, Monitoring and Evaluation sections. Understanding the difference between complex and complicated systems is becoming important for many aspects of management and policy. Each system is better managed with different leadership, tools and approaches. This post explains the differences, and provides an introduction to management tools and leadership tasks best suited for complexity. A major breakthrough in understanding how to manage complex multistakeholder situations and programs has come through the field of systems theory. Systems thinking is a way of helping people to see the overall structures, patterns and cycles in systems, rather than seeing only specific events or elements. It allows the identification of solutions that simultaneously address different problem areas and leverage improvement throughout the wider system. It is useful, however, to distinguish between different types of systems. According to a classic report in healthcare by Sholom Glouberman and Brenda Zimmerman – Complicated and Complex systems: What would successful reform of Medicare look like? – systems can be usefully seen as lying along a broad continuum from ‘simple’ to ‘complicated’ to ‘complex’. Simple problems (such as following a recipe or protocol), may encompass some basic issues of technique and terminology, but once these are mastered, following the ‘recipe’ carries with it a very high assurance of success. Complicated problems (like sending a rocket to the moon), are different. Their complicated nature is often related not only to the scale of the problem, but also to their increased requirements around coordination or specialized expertise. However, rockets are similar to each other and because of this following one success there can be a relatively high degree of certainty of outcome repetition. In contrast, complex systems are based on relationships, and their properties of self-organisation, interconnections and evolution. Research into complex systems demonstrates that they cannot be understood solely by simple or complicated approaches to evidence, policy, planning and management. The metaphor that Glouberman and Zimmerman use for complex systems is like raising a child. Formula have limited application. Raising one child provides experience but no assurance of success with the next. Expertise can contribute but is neither necessary nor sufficient to assure success. Every child is unique and must be understood as an individual. A number of interventions can be expected to fail as a matter of course. Uncertainty of the outcome remains. The most useful solutions usually emerge from discussions within the wider family and involve values. These differences have important implications for management. Complicated systems are all fully predictable. These systems are often engineered. We can understand these systems by taking them apart and analyzing the details. From a management point of view we can create these systems by first designing the parts, and then putting them together. However, we cannot build a complex adaptive system (CAS) from scratch and expect it to turn out exactly in the way that we intended. CAS are made up of multiple interconnected elements, and are adaptive in that they have the capacity to change and learn from experience – their history is important. 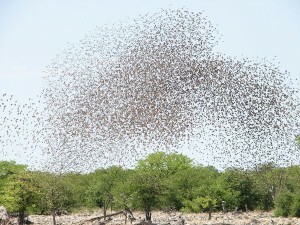 Examples of CAS include ourselves (human beings), a flock of birds (e.g. the picture above), the stock market, ecosystems, immune systems, and any human social-group-based endeavor in a cultural and social system. CAS defy attempts to be created in an engineering effort, and the components in the system co-evolve through their relationships with other components. But we can achieve some understanding by studying how the whole system operates, and we can influence the system by implementing a range of well-thought-out and constructive interventions. Getting people to work collectively in a coordinated fashion in areas such as poverty alleviation or catchment management is therefore better seen by agencies as a complex, rather than a complicated problem – a fact many managers are happy to acknowledge …. but somehow this acknowledgement often does not translate into different management and leadership practice. Indicators of progress in managing a complicated system are directly linked through cause and effect. However, indicators of progress in a complex system are better seen as providing a focus around which different stakeholders can come together and discuss, with a view to potentially changing their practices to improve the way the wider system is trending. Understanding this difference has important implications for management action as the table below highlights. In many cases people continue to refer to the system they are trying to influence as if it were complicated rather than complex, perhaps because this is a familiar approach, and there is a sense of security in having a blueprint, and fixed milestones. Furthermore, it is easier to spend time refining a blueprint than it is to accept that there is much uncertainty about what action is required and what outcomes will be achieved. When dealing with a complex system, it is better to conduct a range of smaller innovations and find ways to constantly evaluate and learn from the results and adjust the next steps rather than to work to a set plan. The art of management and leadership lies in having an array of approaches, and being aware of when to use which approach. Most situations will have simple, complicated and complex system types present, and there may well be multiple systems involved. What is important is distinguishing between system types, and managing each in the appropriate way. Table 1 looks at different leadership roles that can be employed depending on whether one is dealing with a complicated or complex system. In complex situations it is useful to move beyond thinking of “a change” that will fix the system, and instead look for a number of “leverage points” that may be adjusted to improve the system. Encouraging the development and implementation of new work practices, for example, may require changes in rules (e.g. laws, protocols and tacit norms), changes in relationships, networks and patterns of behavior (e.g. how conflict is handled, how mistakes are managed, how power is used), and the use of a range of tools (e.g. databases, checklists, guidelines). One-size fits all approaches are unlikely to work in complex adaptive systems. The way solutions are visioned and delivered locally must reflect the values, contexts and cultures of each different community of stakeholders. The key for those working with these complex adaptive systems is to support ongoing reflection and collaboration among the different people and groups involved. Future visions and common goals need to be openly discussed and negotiated, and tentative pathways forward charted. Over time good practice in these areas will lead to creative collaborative and partnering arrangements that support ongoing innovation and sustainable development. More information on tools and methodologies to implement systems thinking can be found through the linked LfS pages on systemic design, systems thinking tools and conceptual modelling. Theories of Change and associated outcomes models are useful tools which help managers to go beyond linear paths of cause and effect, to explore how change happens more broadly and then analyze what that means for the part that their particular agency or program can play. Much human behavior is habitual. However, when external conditions change – for example as we seek to address emerging sustainability issues around all sorts of sectors (in transport, energy, biodiversity, climate change, public health, etc.) old habits may no longer be appropriate. In situations like this, we look to come up with social marketing campaigns to encourage people to change their practices. These campaigns are often based on providing information about the effects of the choices we make, and what we could, or should, do differently. However, current research reminds us that campaigns that concentrate on firing off messages and information about what target audiences should do – actually have surprisingly little effect on behavior. In many cases the way the message is communicated can be as important as the content itself, and the way in which the different parties perceive each other is also crucial. The important take home point is that we can’t actually change other people’s behaviors, rather, they decide (or not) to change their own behavior. With this perspective in mind, those working to support practice change for sustainability can work to provide: i) an enabling environment for the adoption of desired practices, and ii) offer opportunities for people to be inspired to change – by their peers, by the idea of new possibilities, etc. Fortunately, experiences from decades of social marketing and research in fields such as social psychology do offer a range of principles and techniques that can help sustainability advocates with the latter by supporting the development of more effective communication and social marketing campaigns. One selection of these set out in a popular book, “Influence: The psychology of persuasion”, by Robert Cialdini puts forward the following six principles: liking, reciprocity, authority, commitment, social proof and scarcity. While these principles will have to be integrated within any individual social marketing campaign on an individual basis, it is vital to approach the audience like the individuals they are. Different groups will respond better to different influence principles, so it is important to undertake some simple stakeholder analysis as a starting point. Thinking about how to use these six principles reminds us that while it is important to understand the technical content of the message, understanding the people you are communicating with is equally as important. People tend to agree with people they like. They also like people who like them and who they see as being like them. This is why companies often take care to use sales agents from within the community they are selling to. We are more likely to listen to people like ourselves, from friends, and from others that we know and respect. Taking time to build a rapport can also be useful in this regard. Cialdini suggests, however, that letting another party feel that they are genuinely liked by someone trying to persuade them is actually more important than them liking the persuader. The important work here is ‘genuine’! However, spending time learning about similarities can provide the means for this genuine liking to occur and, by taking the time to do this, it is possible to build constructive relationships. People like to give – and take. Helping someone means an individual is more likely to receive help in return, because there is a tacit obligation to repay the favor. Providing assistance in this way will increase the likelihood of people helping out in return. Helping in this way also provides a good basis for building on-going, trust-based relationships. Start the communication process by offering something. Examples include offering free information, a discounted sample, or even delivering a positive experience in a first visit. Reciprocity also affects negotiation processes. Thus it is possible to increase the chance another party will be collaborative by being collaborative first. Being competitive and uncooperative during negotiations will most likely result in reciprocal behavior by the other party. Giving concessions and sharing information first will encourage the other party to do the same. People like to follow legitimate experts. This means that it can be good to highlight a high level of expertise. However, it is equally important for a person to show that they are a trusted source of information, which can be difficult, particularly in situations where they are advocating for an unpopular decision already made. No amount of expertise and authority is going to persuade people that an unpopular decision that has been forced on them is a good idea. In public campaigns, however, it may be useful to point to experts that people have reason to trust. In the end, this principle is less about authority than it is about building and maintaining trust. In fact, it is clear that if authority is used as a tool to coerce rather than inform or encourage, it can create resistance rather than cooperation. In some situations it is possible that trustworthiness can be demonstrated by admitting weaknesses – provided of course there is also evidence of strengths and expertise. In the right situations, admitting weaknesses can highlight a person’s credibility and show them to be honest and trustworthy. Remember – higher credibility, lower barriers! Most people want to look consistent through their words, beliefs, attitudes and deeds, because personal consistency is highly valued by society. People have a deep need to be seen as consistent. Moreover, being consistent offers a valuable shortcut through the complexity of modern existence. Instead of processing all information in similar situations, it is easier to recall earlier decision and respond consistently. To use this effectively it is important to ask people to commit to something. Often this will just be something small such as a trial of a product or service. This means that the other person can lock in an initial commitment without having to feel trapped in a long-term relationship with a product or service that they are unfamiliar with. It’s making an initial start to thinking about something in a new way that is the important thing here. In the end, most people are happy to be followers. When it comes to decision making, or deciding what is important in a given situation or in times of uncertainty, people look to what people similar to them have done. Thus providing evidence of what other people have done and how they have benefited from that action can help persuade a doubtful audience. In negotiations around sustainability issues, the situation can often be ambiguous and the issues being discussed can be very complex. In such situations, parties will look to the experiences of other similar groups and perhaps the views of unbiased experts to guide their decision. In the book Cialdini and his co-authors outline a series of experiments with the cards we often see in hotel bathrooms attempting to persuade us to reuse the towels. The standard appeal on these cards is to our concern for the environment. The researchers experimented with changes to the wording on these cards and found that people tend to do what they perceive the majority of others do. For example, guests who were told that most other guests reused their towels, were up to almost 30 percent more likely to reuse their towels than those who saw the standard message. People assign more value to opportunities when they are seen as scarce. The use of this principle can be seen in sales techniques that suggest an offer is limited either in number or in time. The scarcity principle works for two reasons: First, things difficult to attain are typically more valuable and then when something becomes less accessible, the freedom to have it may be lost. In a sustainability context, this principle means that saying what benefits stand to be lost might be more important than saying what stands to be gained. This holds as true for face-to-face negotiations with individual groups or industry sectors, as it does for developing a television-based awareness campaign. Hopefully, this overview of Cialdini’s influence principles provides some ideas that you can apply to your own communication and social marketing campaigns. They don’t just apply to product and service sales and uptake either, but also to your efforts in creating engagement and building relationships. It’s important to use these principles with integrity – to use them honestly, with a sense of public good, and with good intentions. In the end the key to these principles is that using them wisely can build your reputation, but using them for selfish reasons can just as easily adversely affect your reputation. Remember that these are just six ways that you can influence others. More information on these principles and other frameworks for thinking about creating more effective behaviour change initiatives can be found from the Learning for Sustainability site resource pages on Social Marketing and Communicating for change. The Learning for Sustainability (LfS) site will celebrate more than ten years of operation this year. In order to maintain the level of service that visitors require the site is being extensively revised and upgraded. I am currently moving the site to a wordpress platform, and the indexing and structure of site sections will also be rebuilt during this period. This will result in a site that is more streamlined, and works equally well for those of you using tablets and phones to access the site in the field. While this is being done the original site can be accessed through this LfS index page. In total, this site now has been around for almost 18 years. It was initiated in 1998 as part of my PhD studies, and subsequently developed under the NRM-changelinks name. Over the 2005/2006 summer period the NRM-changelinks name (and URL) was discontinued, and was superceded by the current Learning for Sustainability name (and URL). The success of the site relies in no small part because so many of you have pointed to papers, reports and other material for inclusion, and shared the availability of this resource among the wider global community of practice in this area. On average the site currently receives more than 800 visits each day*, with the highest number of visits in any one day being in excess of 1500. As part of the recent update activities I re-visited the original aims of the site, particularly looking at the wide breadth of processes, tools and skillsets that the LfS site highlights. As evidenced by current literature, we can see that as the use of collaborations matures there is a rapidly increasing need for wider skillsets in engagement practice to match the increasing expectations that key stakeholders have. And this also means that those managing contemporary collaborations will increasingly require this type of multi-skill, multi-method support structure. Collaboration is not new, and we need to do a far better job of linking research in this area with emerging practice on the ground. Practitioners need to have access to evaluation approaches that are responsive to context and surprise, and that help us learn across multiple initiatives at different scales. As organizations and communities come to see collaboration as an ongoing process – rather than a series of events, so practitioners will be required to mix and match a wider range of skills to support the development of outcomes that emphasize resilience and adaptation. Collectively these challenges provide us a lot of opportunity to share ideas and experience about current initiatives.